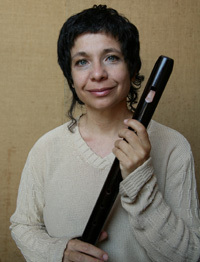 She graduated in recorder peformance from the University of Music and Performing Arts, Vienna, Austria, with a scholarship from the Alban Berg Foundation for the support of contemporary music research. 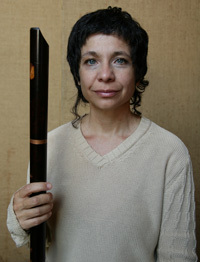 She participated in master classes in Germany, Switzerland, the Netherlands and Italy. 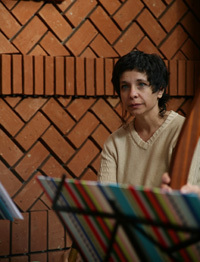 Valeria is a doctor of Arts (Poetics of Scenic Writing) by Unicamp and wrote the doctoral thesis Músico e Ato (Musician and Act). She is responsible for the executive direction and graphic production of the CDs and concerts by Group ANIMA, of which she is a founder: Encantaria (2012-2018), Donzela Guerreira (Warrior Maiden) (2008-2013), Espelho (Mirror) (2006), Amares (2003), Especiarias (Spices) (2009), Espiral do Tempo (Time spiral) (1998). 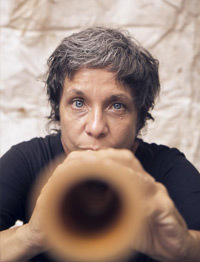 As a member of ANIMA she received many awards: Funarte Brazilian Music (2012), APCA (1998) and the V Carlos Gomes Award (2000), performing in Brazil, Germany, Austria, Switzerland, France, Italy, Luxembourg, USA, Canada, Argentina, Bolivia, Paraguay, Colombia, Uruguay and Mexico. She is a member of the early music ensemble Harmonia Universalis and was a member of the medieval music ensemble Núcleo Tálea, directed by Fernando Carvalhaes. 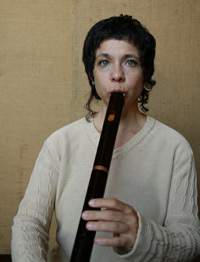 Valeria works on music performance by means of body awareness, and graduated in the didactics of the Klauss Vianna technique Escuta do Corpo (Body Listening). She is group practice and recorder professor at the State University of Santa Catarina, Florianópolis. after a C. Rafi and P. Grece model, Italy, 16th-17th. cent. Yãkwá instrument used in healing cerimonies at the Enawenê-nawê tribe, Serra do Roncador, Mato Grosso (BR).